Windsor Oaks has produced a great blend from two Dijon clones namely 667 and 777. This creates a wine which has great red fruit as its base with cherries and strawberries dominating. 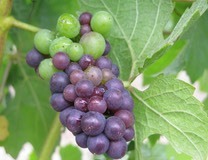 Underlying the red fruit is a wonderful vanilla taste which comes from the French oak barrels in which the wine matured. I would have no hesitation in serving this wine at the dinner table, it compliments lighter meats well and went very well with a lovely beef stew.